CYPRESS POINT – Bright, beautiful, 2 bdrm TOP FLOOR, SE CORNER unit with awesome entertainment sized, TOTALLY PRIVATE, patio DECK. Skylight in kitchen, hardwood laminate flooring, excellent floor plan. INSUITE LAUNDRY/pantry/storage PLUS convenient EXTRA STORAGE on the second balcony. 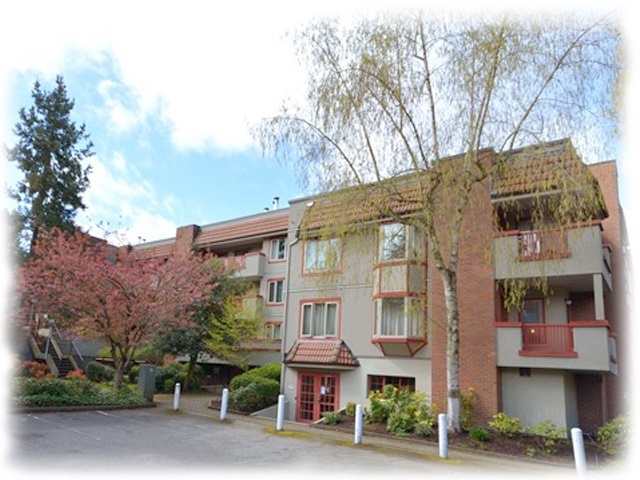 RENTABLE, cats permitted, 10 min walk to Richmond Centre, Library, and Skytrain.